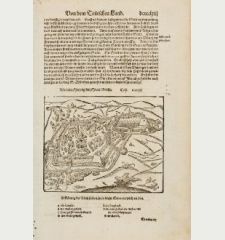 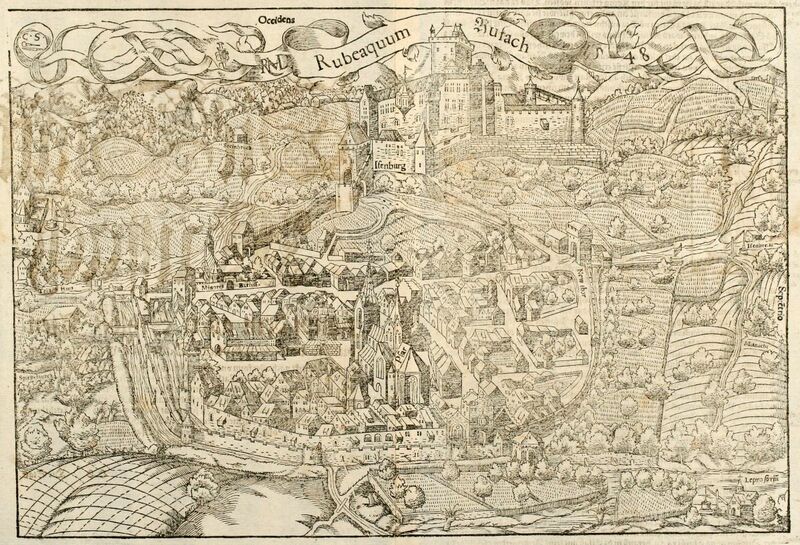 Antique woodcut town view of Rouffach, Alsace. 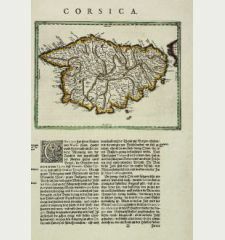 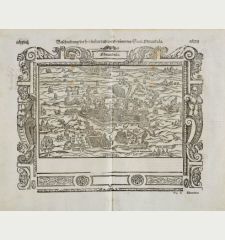 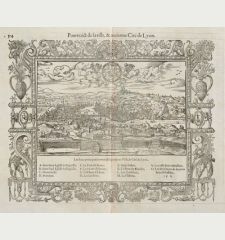 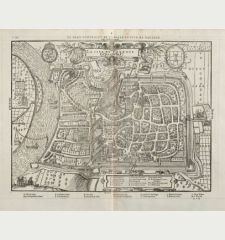 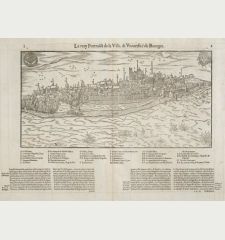 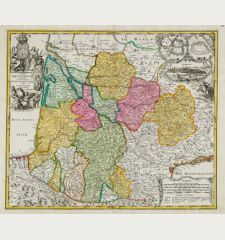 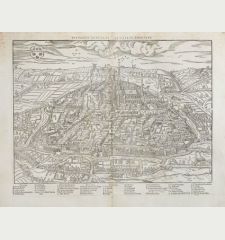 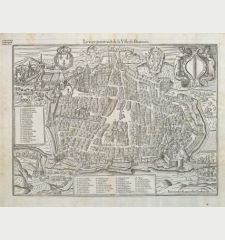 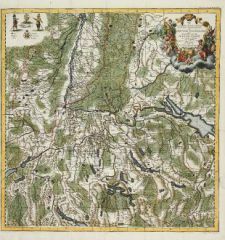 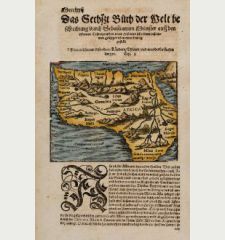 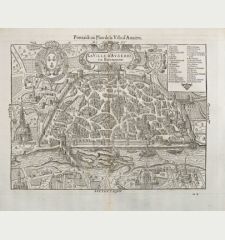 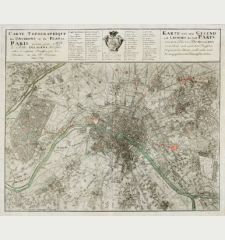 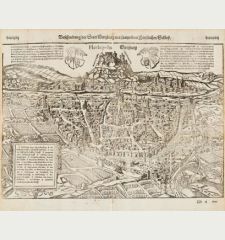 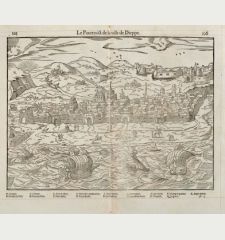 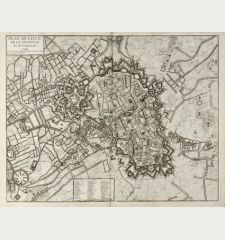 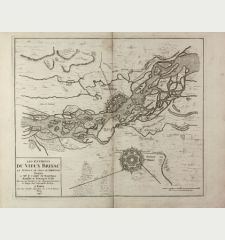 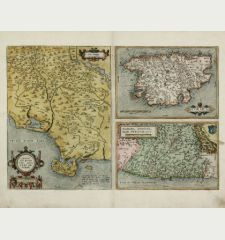 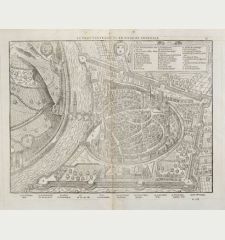 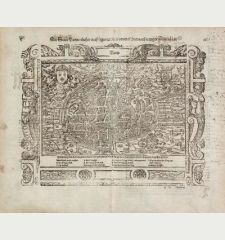 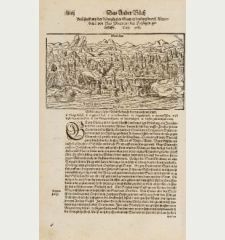 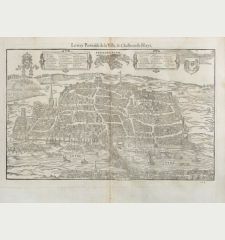 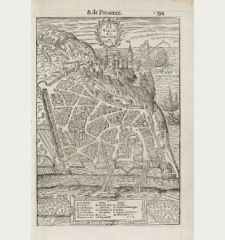 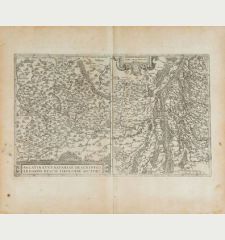 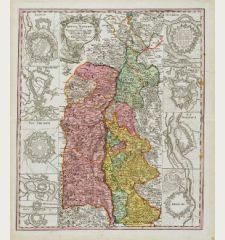 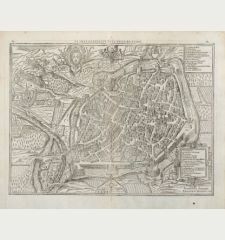 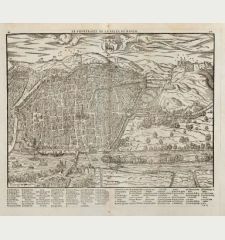 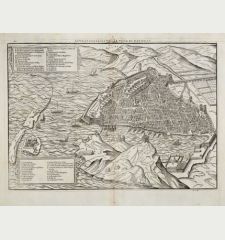 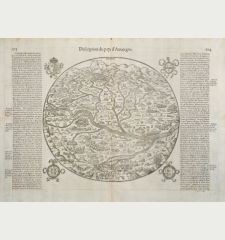 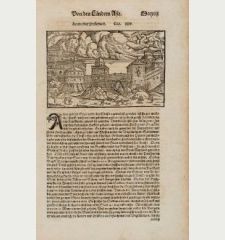 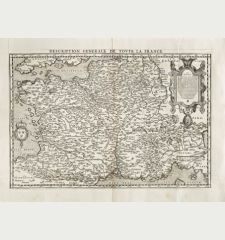 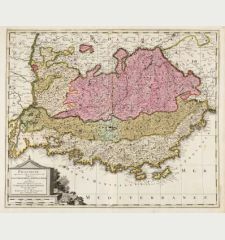 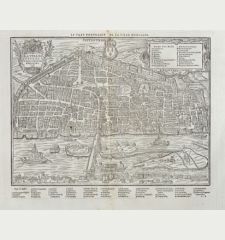 Printed in Basle by Petri in 1550. 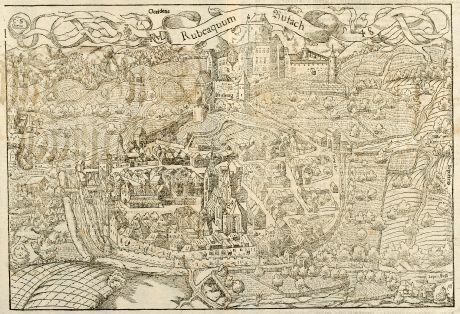 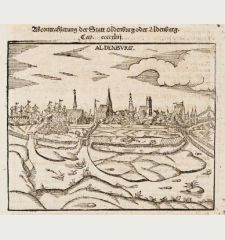 Original woodcut view of Rouffach in Alsace by Sebastian Münster. 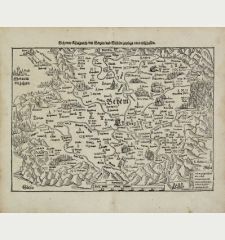 From a German edition of the "Cosmographey". 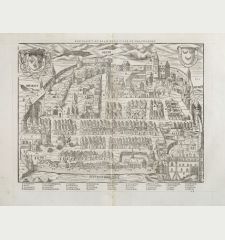 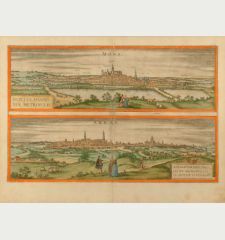 Showing the city from birdeye perspective and the Castle Isenburg with many surrounding details. 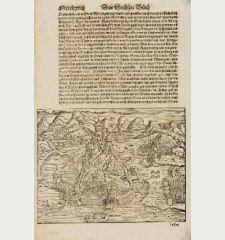 German text and a figural woodcut on verso. 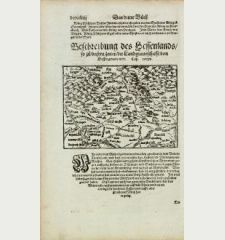 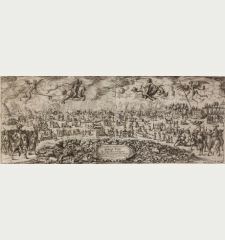 Title Die Statt Rufach mit sampt dem Schloß Isenburg / auffs fleissigest nach jetziger gelegenheit contrafethet.